This will be a short tactica article, as it focuses on a very specific tactic you can achieve with a Broadside. The equipment and members of the Broadside team can vary, but every sniperside has this at its core. Some would say you can have a regular sniperside if you equip a standard Shas'ui with the ATS, but it doesn't give us the same results and lends itself to supporting the actual Sniperside. The base cost of a Broadside Shas'vre and ATS is going to be just under 80 points, so what are you getting for your investment? Let me show you. That isn't as good as some of those sniper characters out there, but it's not bad at all. And our Broadside carries heavier artillery than most of those sniper characters anyways. So, how can we apply this to get the most of our Sniperside? Obviously, the first thing that comes to mind is the Heavy Rail Rifle. It's huge and sniper-y and kills just about everything. But, oh how far the railside has fallen! They ruled the tables in 5th edition, and now they are lucky if they see the table at all! Fear not, the HRR is perfect for our Sniperside. It will insta-kill most infantry, ignores armour saves, and can hit anywhere on the table that it has line of sight to. The weapon is also capable of penetrating AV13, which is sometimes exactly what you need. The High Yield Missile Pod is the weapon of choice for most broadsides, and it can be useful here. With 4 shots, you should land 2 precision shots a turn. Admittedly, this will be most useful against light infantry targets (such as an Astra Militarum heavy weapons team) or vehicle squadrons. It is more useful against squad leaders since it can force more Look Out Sir rolls, provided the squad leader does not have 3+ armour or better. The range is a bit of a limiting factor, so they are forced to be a bit closer to the danger. While the HYMP has its applications on a Sniperside, there aren't that many the HRR can't accomplish as well. The HYMP brings you the advantage of being a superior weapon outside of the sniper role. Plasma Rifles. These cost points to upgrade, and surprisingly don't bring you much. They are better used on an Early Warning Override broadside to mow down marines arriving via drop pod. Smart Missile System. This is an excellent backup weapon for the sniperside. It can get you a few extra precision hits to force armour saves on your intended target. It has the super awesome Ignores Cover and Homing abilities and is much better for Overwatch defense. Raven suit in a Farsight Bomb. 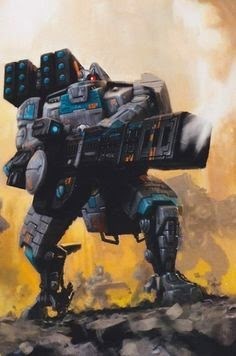 The loophole in the Farsight bomb allows an FSE army to have bodyguards carry the special equipment from the Tau codex. The PEN, CCN, and M3S are usually all crammed onto this one model and killing it will massively reduce the bomb's damage output. Banners. Almost never on characters, but always a good target. Kill this and you'll usually remove some sort of aura or benefit to your opponent. Necron Command Barge: a precision shot can be allocated to the chariot, which is the weaker half of this model. The HRR might penetrate, which would kill the quantum shielding, making the entire model vulnerable to our massed S5 shooting. The HYMP can land more hits, but the HRR is probably the better pick here, since a regular shot with the HRR can put some hurt on the Overlord as well. Specifically Positioned Models. This one is more situational, and will not happen often, but can change the game if you keep an eye out for it. Maybe that one model is the only model within 3" of an objective and killing it will allow you to score it. Maybe one model has its toe in your deployment zone in the final turn of the game. Positioning can be a big deal, and sometimes it comes down to a single grunt, and those are the perfect target for the sniperside. Granted, I have not had any experience with this specific loadout. It is something I've looked into, and I've deployed it, to a degree, in Kill Team (the ATS isn't needed in KT). It isn't a tournament winning surprise unit, but it can be a fun way to change up your Broadside units. Throw this guy in with two Missilesides carrying Target Locks and you have a multi-purpose unit that does what you already wanted it to do plus the occasional insta-killing sniper shot. Railsides are not the competitive build of broadsides, but they can still be fun to run. People just need to stop seeing them as the vehicles killers they used to be back in the s10 days. Nowadays they are elite killers. I like to put Early Warning Overrides on them so they can snipe drop podders and terminators of the sort when they come in. Basically their range is what makes them beautiful. There is nowhere on the board that is off limits. They will wound any small number elite units, taking centurions down a man, and again, terminators or stenguard. I use space marines as only an example. However, with all they can do, you look at the final cost and that you are still only getting 3 s8 ap1 shots for 195 points makes you call to question their effectiveness. But they are one of the coolest looking models in the army. 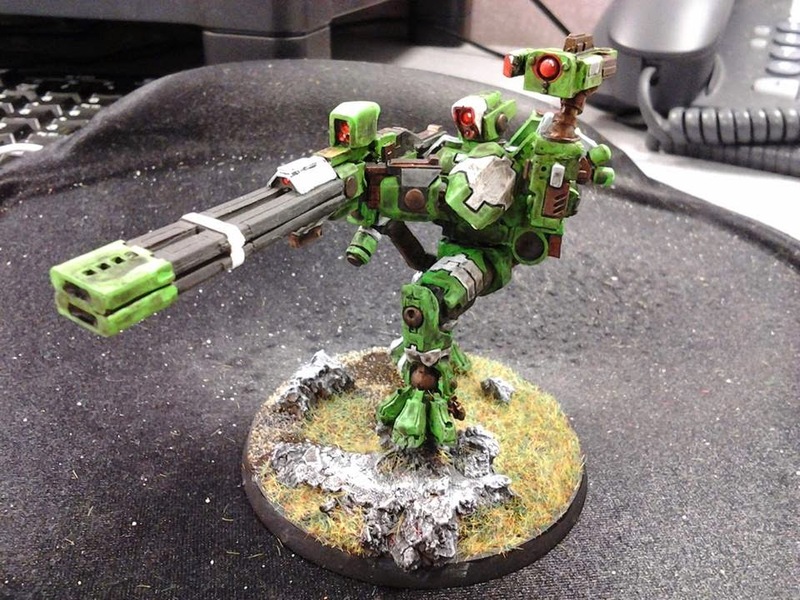 Tau FAQ says " A model with an advanced targeting system has the precision shot speacial rule." So you no longer get the 5+, since characters no longer have it and it doesn't boost it. 7th saw the downfall of sniper side. What the FAQ says, is to "replace the first sentence" with that quote. It is the second sentence of the ATS paragraph that specifically grants Tau characters precision shots on a 5+. The sniperside is just as effective as it was in 6th ed.